Ohio high school student Makalaya Zander's white teacher advised her that an African-print themed prom dress wasn't "appropriate" so she reached out to designer Deandre Crenshaw to create a masterpiece. 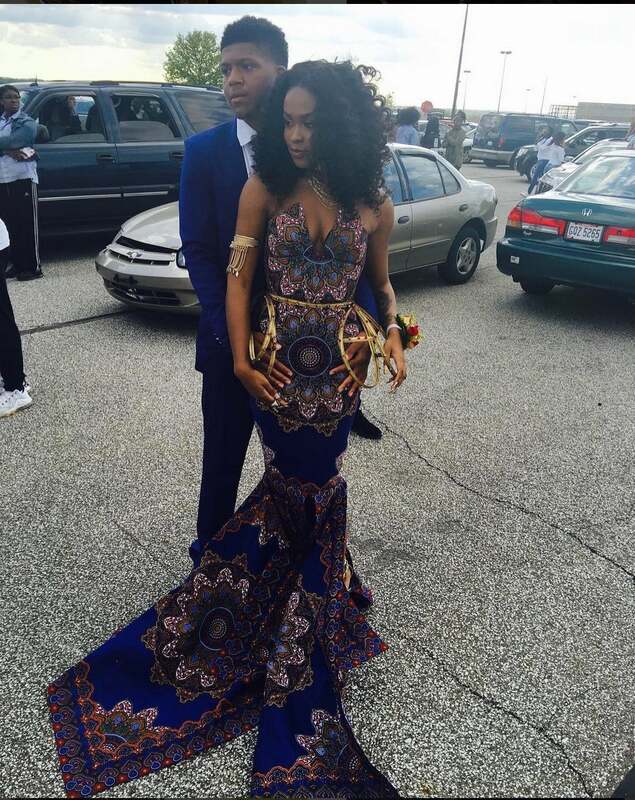 One major theme that has defined this prom season amidst the march of celebrity red carpet replica dresses has been African-inspired designs. From the Black Lives Matter movement to bullied New Jersey teen Kyemah McEntyre’s Insta-famous original prom gown design last year, this season seemed like the perfect storm for fashion’s youth trend embracing wax, ikat, and batik prints for prom. So, when Ohio high school student Makalaya Zander’s white teacher advised her that an African-print themed prom dress wasn’t something that should be worn to prom, she couldn’t have been more out of touch. Makalaya’s prom dress was inspired by an Ankara gown worn by Nigerian model Jessica Chibueze to a gala. And the finished product – a printed, body-skimming fishtail dress in royal blue – looked stunning. There are so many brave and creative young people in the world, we just wish there were as many teachers to inspire and encourage them. Congrats on the dress, Makalaya!